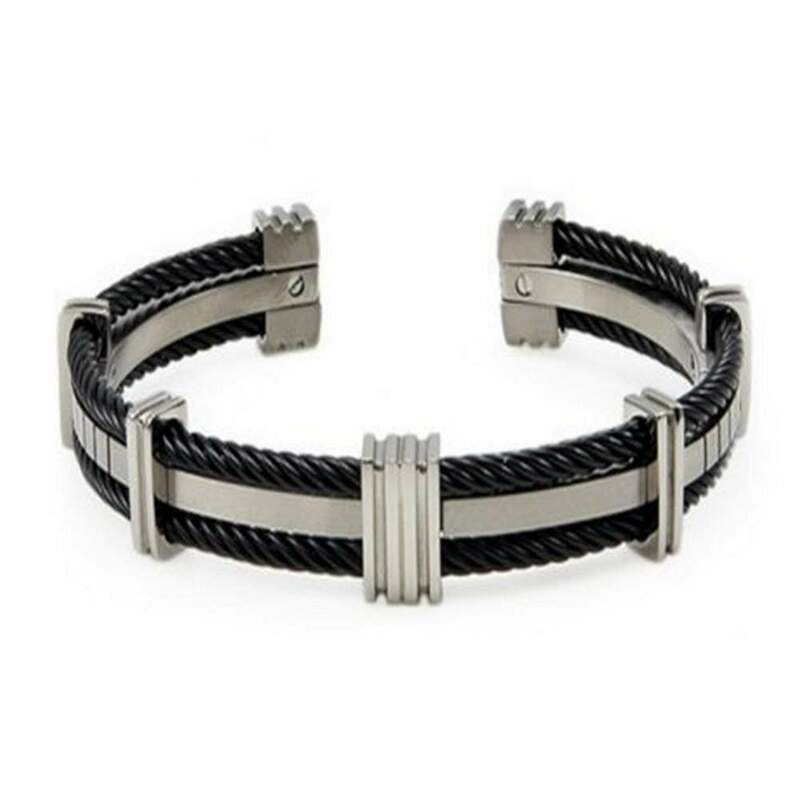 A rugged, almost vintage look gets a modern update in a peerless contemporary material. 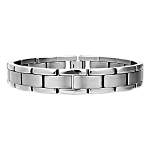 This men's titanium bracelet features a satin finish center bordered by black IP (ion plated) titanium cables, finished with five titanium stations and a fold-over clasp. 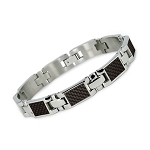 This designer titanium bracelet measures 12mm wide by 7.75 inches long.